Hot or Cold water that is the question. Always use cold water while running your garbage disposal never hot. 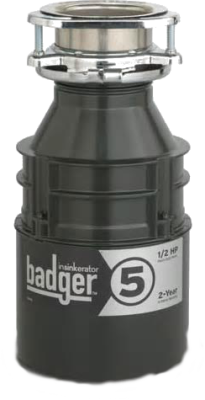 They say that cold water keeps the motor of your garbage disposal from over heating. In theory that would be true but in reality not so much as its only on for 20 seconds or so it really does not have enough time to heat up. The real reason that cold water is better is all because of grease. No matter how hard you try grease will get caught up in the small ports inside the disposal hot water will liquefy this grease and as it travels down you pipe it will cool very quickly and stick to your pipe. 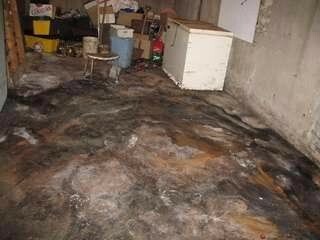 The grease can get tacky and cause other solids to lodge in the pipe and cause backups. Cold water will send the grease down the pipe as a solid and it will become the city's problem instead of yours. We would rather than it be the city's problem than yours. (city workers ignore that last sentence) In no way are we advocating dumping deep fryers down your drain so please don't do that. Next to fire, water is the most destructive force to a home. No sane person would go without fire alarms in their home yet they don't even know that water alarms exist. Water alarms are roughly $10 at any home improvement store and they are worth their wait in gold. A water alarm placed within 6 inches of your floor drain will not only detect sewer backups, but they will also alert you of a leaking water heater as well. The sooner you know about the issue the less damage it can cause possibly saving you thousands in repair costs. It is not a trash can don't use it like one! 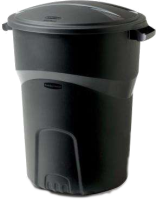 Garbage disposals are designed for remnants on your plate not leftovers, excessive debris going through the disposal can cause blockages in your sewer. 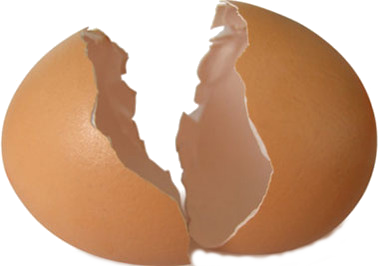 Eggshells do not, can not, and will not sharpen your disposals blades. The blades are hardened steel or titanium. If eggshells could sharpen the blades they would not be strong enough to grind other foods up. What the heck is that thing? It is a studor vent or carbon filter that removes the methane gas which is flammable and smelly from the air venting out of the sewer pipe. With todays open floor plans it is difficult to run pipes from the lowest level in the home all the way up through the roof as they has always done. This is why some homes have studor vents under sinks or in basements. 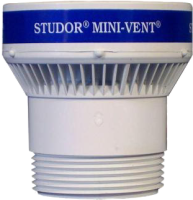 How it works; studor vents are packed with negatively charged carbon that attracts and absorbs the positively charged sewer (methane) gas from the air. The vents can also attract dust and/or paint fumes as well because of this spraying paint near them can clog the filter thus causing the pipe to not drain. Depending on amount of use and brand of the vent they should be replaced every 5-10 years to prevent methane from seeping into your home.